Stock status is current as of 4/24/2019 8:42 AMET. 5-year renewal for Barracuda Backup-as-a-Service 390 (BaaS) includes support for Barracuda Backup 390 appliance, 1 year Energize Updates, 1 year Instant Replacement, and 1 year Unlimited Cloud Storage subscription. This all-inclusive subscription service gives customers an alternate method of purchasing Barracuda Backup 390 with a smaller up-front cost, while still providing all the functionality. Barracuda Backup a complete backup solution for physical and virtual environments that includes software, storage, deduplication, replication, hardware replacement, and unlimited could storage. 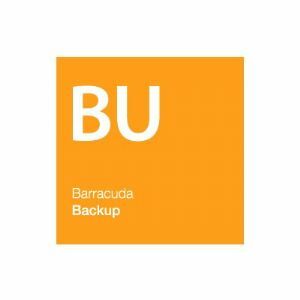 Simple to deploy and easy to manage, Barracuda Backup includes agents for Microsoft Windows, Microsoft applications, Linux, and Hyper-V as well as agentless backup of VMware. Source-based deduplication keeps backup windows short and LAN traffic to a minimum while in-line global deduplication on the backup server optimizes the backup storage footprint. Barracuda Backup 390 stores up to 2TB in local cache, recommended for up to 1TB GB primary source data. Features include 1 x gigabit Ethernet connection, data deduplication, integrated cloud replication with unlimited cloud storage, Site-to-Site Replication, LiveBoot, Granular File and Message Recovery, Central Management Interface, no per-server or per-application fees.